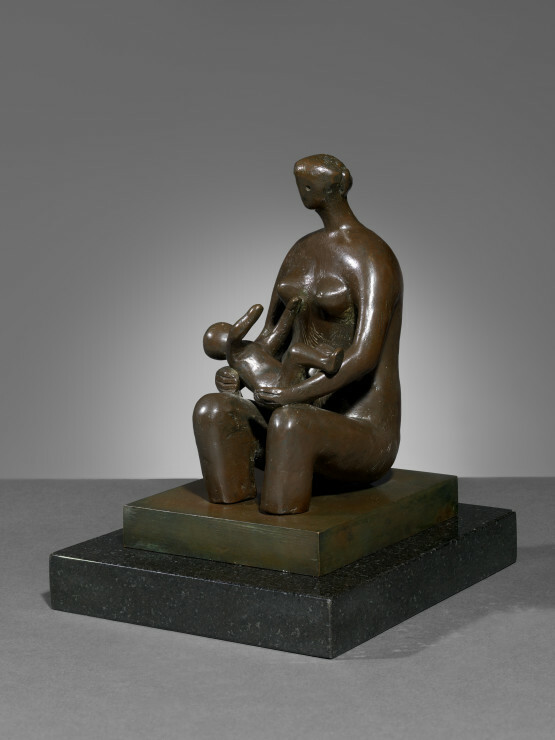 Henry Moore is one of the most important figures in 20th century British sculpture. His work influenced his contemporaries and inspired younger generations. It was also his work that the post-war generation fought to repudiate. This exhibition will explore these themes. Unit One will act as the starting point for the exhibition, a key moment in British art history and pivotal in Moore’s career. Formed in 1933 by Paul Nash the group included artists such as Barbara Hepworth (with whom Moore had studied at Leeds College of Art), John Armstrong, Ben Nicholson and Tristram Hillier. 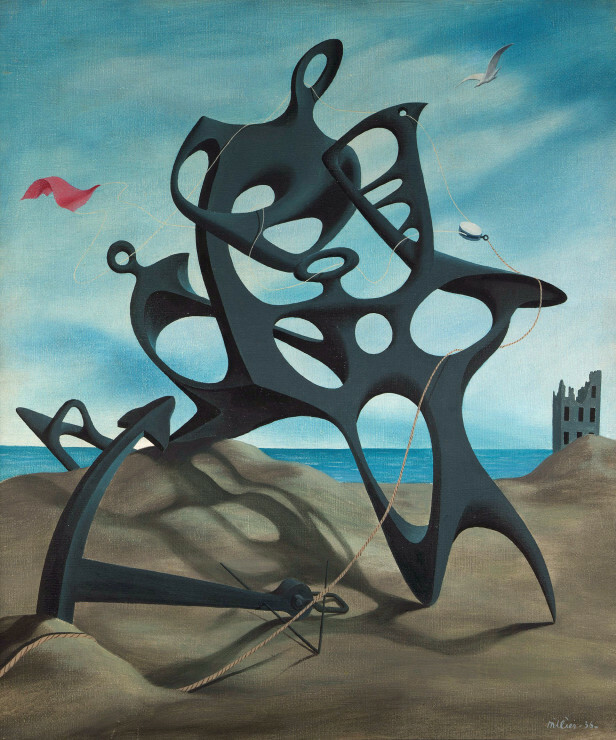 Modern art at the time was divided between surrealist and purely abstract artists, but Unit One sought a fusion between these seemingly opposing movements. 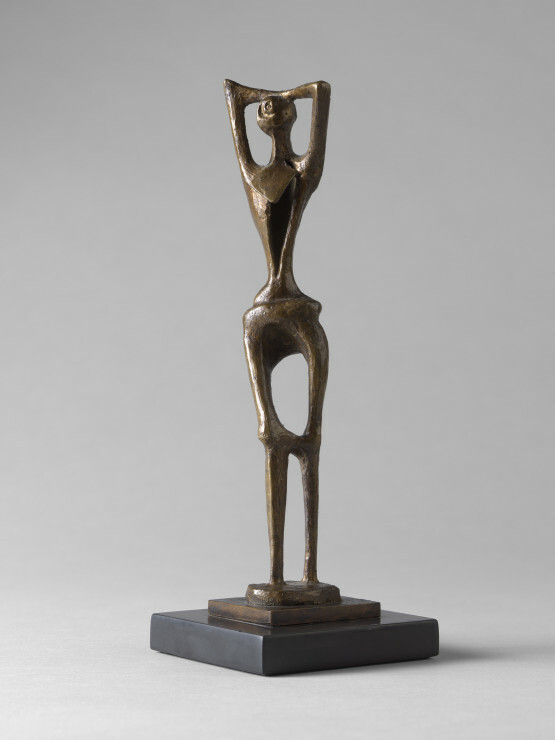 Following his visits to Paris in the 1930s Moore saw the primitivism of Pablo Picasso and the biomorphic forms of Surrealists such as Hans Arp, melding these elements into his own figurative language. Unit One would take a major role in the organisation of the International Surrealist Exhibition in London in 1936 which cemented Moore’s position as a vital voice in avant-garde circles. After the Second World War Moore achieved major success and International fame with his Shelter Drawings. He won the International Prize for Sculpture at the Venice Biennale in 1948 and was given major museum exhibitions and public commissions worldwide. His stature was such that it overwhelmed many younger artists. 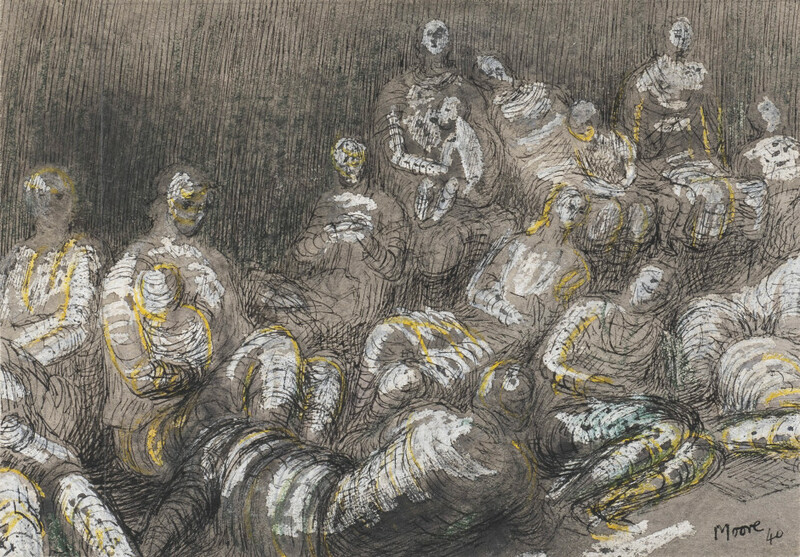 This exhibition will explore the way in which that generation reacted to and against his work. 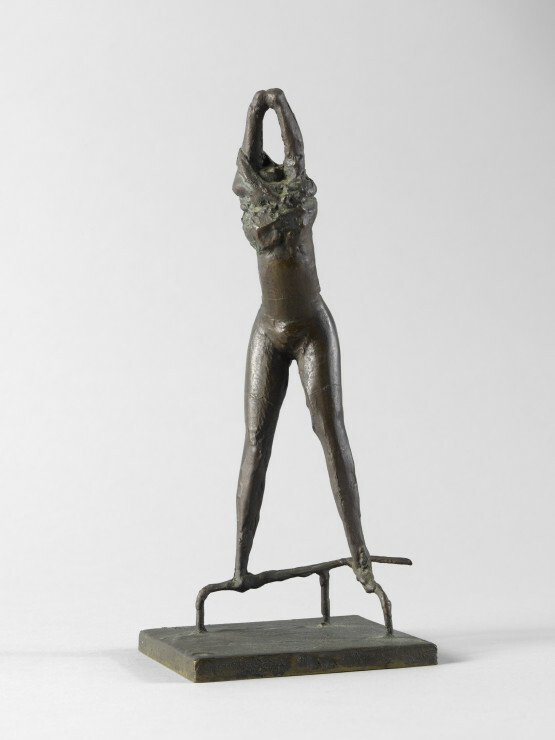 In 1952 Moore exhibited at the Venice Biennale alongside a group of younger sculptors including Lynn Chadwick, Kenneth Armitage and Reg Butler. Dubbed the ‘Geometry of Fear’ school by Herbert Read, their industrial surfaces and post-apocalyptic subject matter stood in direct opposition to Moore’s serene, organic forms and received widespread acclaim. In the post-modern era, Moore continued to act as a catalyst for younger artists, standing as the emblem of Modern British Art. Antony Gormley has talked about Moore ‘facing the same problems as all of us who are attempting to evolve a formal language’. 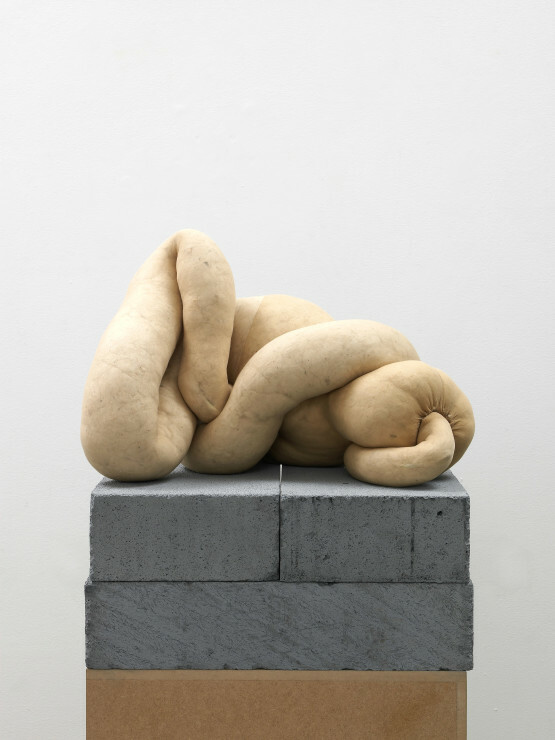 Bruce McLean created performances and photographs celebrating Moore’s monumental reclining figures on plinths and Sarah Lucas has built on the art historical idea of what a sculpture might be - an object, defined by gravity, space, the human body and naturally found forms.